Young and energetic out-of-school-youth are excited to see a foreigner in their neighborhood. 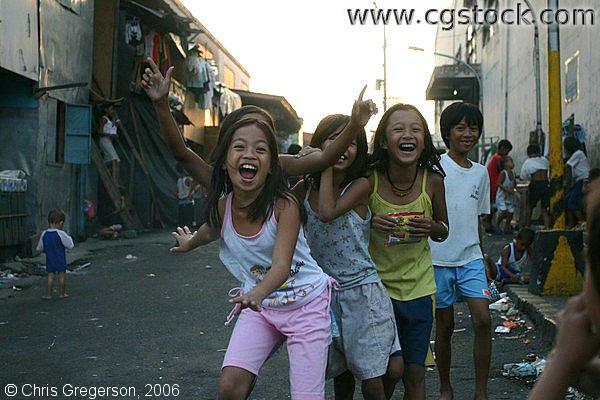 These Filipino children make the streets of Delpan,Tondo their haven and playground. Some kids on the background are collecting some things that can be sold while the others are merely playing on their own. The pure and pleasing smile of the unfortunate children is very touching to witness.